Sept. 17 (NBD) – If you want to run a bookshop successfully, please do remember to design it like a toy shop or a sweet shop, so it could have the same kind of children with hungry eyes at the window. Tamara Macfarlane made the above remarks Saturday in an interview with NBD during the 2018 Chengdu International Bookstore Forum in Chengdu, capital of southwest China's Sichuan province. Macfarlane is a children's book author and the owner of London-based Tales on Moon Lane Children's Bookshop, which was awarded the "Children's Bookshop of the Year" in 2001 and 2008 as well as the "London's Best Independent Bookshop" and "Children's Bookseller of the Year" in 2017. 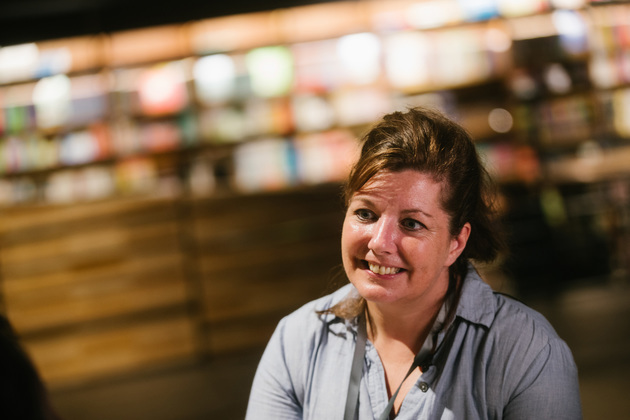 With experience in both writing and bookselling, Macfarlane in the interview shared her valuable expertise in running an amazing bookshop, positive impact of e-books to the physical book industry, and significance of hosting bookstore forums to Chengdu's international cultural exchange. NBD: Your Tales on Moon Lane bookshop has won a number of accolades in recent years. From your experience, what kind of bookstore is the best for children? 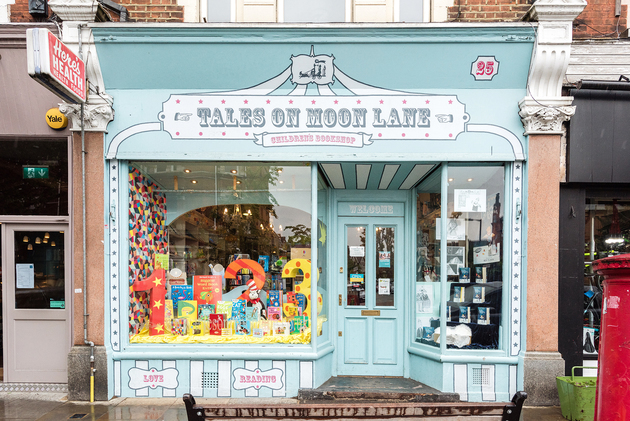 Macfarlane: When I was creating Tales on Moon Lane, I wanted it to feel like a toy shop or sweet shop, so it could have the same kind of children with hungry eyes at the window, and they would like to come in. It wasn't only about children, but about parents taking the children into it or the children dragging their parents into the shop. We had this lovely moment once. We had a window display in the shop, and two boys were running down the street, with their mom pushing them out and saying 'Oh no, we're not going in there.' But they ran through the door, climbed onto the sofa, jumped into the window, and started reading the books in the window, sitting in the window display. This was such a wonderful moment to me because that was exactly what I wanted to happen when I set up the bookshop - children wanted to be there, surrounded by books, and couldn't wait to read books. It's a combination of making your shop very welcoming and having a lot of entertaining activities to make children associate with books. TV and phone apps pose another challenge to children’s attention now. So the more we can make children’s books entertaining, bring them alive, and make them interactive, the better it is for the children. It is better for the shops too. Entertaining facilities are very important to attract children in the first place, as books take a little longer to get into than some of instant things that children used to. Wonderful window displays and the way of displaying books are very important part to help children take on the journey into books. NBD: How can we choose the right books for children? Macfarlane: Children know, and they know what they want to hear and want to read. If you take the child to and let them choose books from a good bookshop that has already narrowed the range of books to really good ones. Parents need to learn to trust the children to choose the books they are really interested in. Parents can also ask booksellers for advices. For those books that children have interests in but are not very good in parents' eyes, you have to let children read, as long as it is not inappropriate. Sometimes, we ourselves read magazines or something not that fancy for entertainment, but other times, we read very good books to stretch the mind and encourage ourselves. Children should be allowed to do the same. If you want children read the classics, you can listen to audio books when you have a long journey in the car, and talk about them afterwards. You can also read to them the books you want them to hear during the day or at night. If they want to read on their own, they would read. NBD: Today's bookstores pay great attention to designs. Will this undermine bookstores' original functions? Macfarlane: It depends on the design. If the design encourages the children to flow around the bookshop, to stop and rest, to create a space as well, I think the design benefit hugely to the bookshop. If the design is more about how good the bookshop looks and no one in the shop knows anything about books, I think there is a problem. It depends on how the balance works. NBD: How can brick-and-mortar bookshops cope with the competition from fast-growing e-books and achieve sustainable growth? Macfarlane: In the UK, we see huge growth of e-books. But publishers were very intelligent and responsive to e-books by upping the quality of physical books, so we got better illustration, better quality of the paper. The book, as an object, becomes something to cherish again. The production quality of children's books was very cheap before and not enough care was taken. Since the content is available digitally, it meant they (publishers) have to rethink the book as an object, then about how we treasure our books and how we treat our books, and our physical relationship with our books. So they up the game a lot in the UK with the physical quality of books and also make books much attractive. Recently, we got amazing pop-up books, like carousels. So, actually the e-book in a way is the beginning of our good luck. Now e-book sales dropped, but physical books sales picked up, and the children's book market is the strongest ever in the UK, seeing the fastest growth ever. NBD: Could you share with us the trend of the bookstore industry? Macfarlane: Non-fiction books are becoming increasingly popular in the UK. When I started my first shop about 15 years ago, the non-fiction books are very dry, you know, like textbooks at school. Now they have become so much more interesting and so much more exciting, and they have become more like gift books. People now often give these interesting non-fiction books as presents because of the quality of illustration, the quality of paper, and interactive elements. In these books, children can learn some exciting, valuable new things. NBD: Do you know anything about China's picture books and children fictions? Macfarlane: There are many really, really beautiful books, but very few of them are translated into English. So it's very hard for us to get hold of the books. I was very frustrated because I saw all these wonderful books and I very much want to have them in my shop. 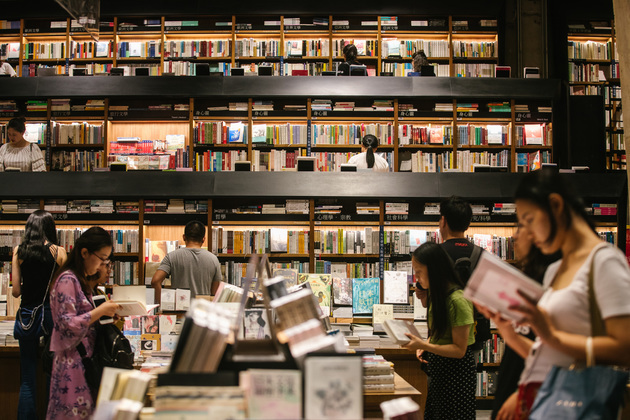 NBD: According to a report on the sector of brick-and-mortar bookstores in China in 2017 and 2018, Chengdu has had 3,463 bookshops, just second to Beijing nationwide. In your eyes, what're the specific features of Chengdu's bookstores as compared to those in other cities? Macfarlane: I am so happy to be in a city (Chengdu) that has so many bookshops. People here are excited by ideas, open to innovation and open to a big world. That makes Chengdu a very special city to be full of bookshops. Seeing so many incredible bookstores in Chengdu is just brilliant and amazing. The huge inspiration what I hope to happen in England is, maybe, to value up bookshops again. We don't value up our bookshops in the same way that is doing here in Chengdu. I would hope to take some of the wonderful messages that have been come up with in this conference to England to try to better support bookshops there. NBD: Chengdu is now making efforts to build itself a literary city. What significance do you think forums like the Chengdu International Bookstore Forum will make to the city's cultural development and international cultural exchange? Macfarlane: Forums like this are essential part of cultural exchange. Innovation of this particular forum is amazing. Last year, I met booksellers from around the world, and now I am in communication with people I met from the conference. I feel much more part of the global conversation about bookselling than I did before this conference. For the city, it is good. Certainly, in terms of raising the city's profile in the global context, it (the forum) has definitely done that. I hear more and more about this bookstore forum in a way that I didn't see before.